The browsing lists are arranged alphabetically by city, then by the newspaper's official name. From there, you can follow links to the newspaper's own website if it has one, or to individual pages with information how to contact the newspaper. 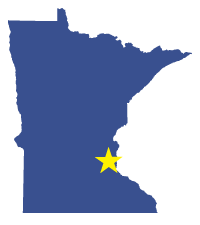 If you know of another Minnesota newspaper with a website that's not listed above, please let us know by emailing info@mnnews.com. Copyright © 2019 Minnesota Newspapers Directory. All rights reserved.